Local registration for 2019 is pending. This page contains some general information to help you get settled in Stuttgart. Jump to the applications section. The date of your arrival is usually determined by the start of the German course, which starts on the first workday of September. You will stay until July or August, until you have completed your examinations. In the winter semester, lectures start in the middle of October, after the intensive language course. If you do not speak German fluently, you have to take this course, and you need the ECTS points anyway. Information about the course can be found here. Note that for FUSION-EP students, there are no prerequsites and no fees. The obligatory arrival date in 2018 will probably be September 3 (it is usually the first weekday of September). The deadline for registration for this course is May 1st of the same year. In the summer semester, lectures start in April. Please tell us your planned arrival date as soon as possible. Do not delay your arrival for matters than can be dealt with in Stuttgart. Please refer to the academic calenar here. For first year students, it is vitally important to get a German bank account, and to communicate this to Frank Janssens in Gent. You cannot receive your grant money into an account in your home country. There is a bank on campus where you can easily get an account when you arrive. You must also contact our Office for International Affairs (IA) to get additional information about the university and housing. They will also work on your admission (Zulassung) to Stuttgart University. Everyone needs to pick up their welcome package from IA after arrival. It contains the necessary documents for your admission. The IZ also has some general information for new students here. you will have a standard room for one person on the Vaihingen campus. The stay will usually be from September 1st to August 31st in the following year, as you will have exams throughout August. 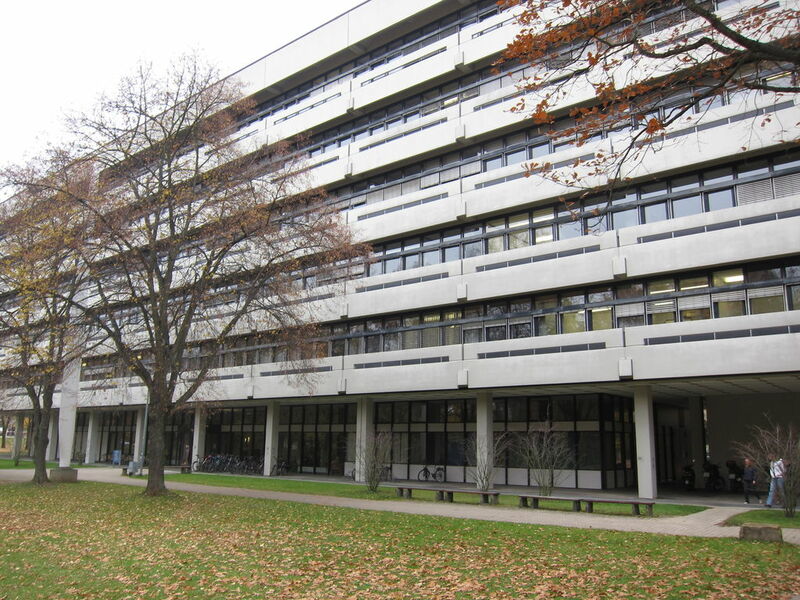 The IA also has list of short term housing options: http://www.ia.uni-stuttgart.de/internat/practical/accomm/temporary/index.en.html. Especially the option of sub-leasing a dorm room http://www.studierendenwerk-stuttgart.de/en/short-term-rent is useful for terms shorter than a semester. If you are doing your thesis work at IPP in Garching or at TEXTOR in Jülich, please contact your advisor there for information on housing. Do not fill out last year's applications. You will be informed by email when the registration is open. As of this semester, a tuition fee for foreign students has been (re-)introduced. It will be covered/reimbursed by the consortium. All applications are online or by email. 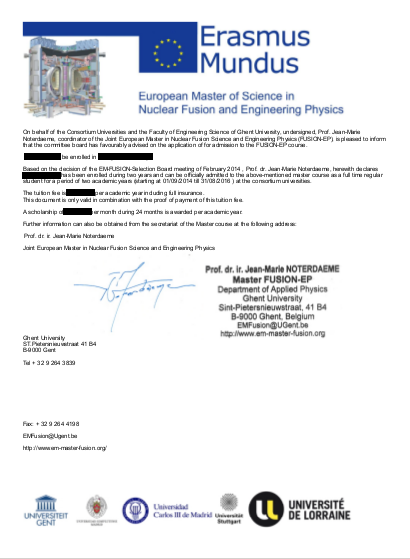 All supporting documents must either be uploaded or sent by email to the coordinator, Carsten Lechte. Your courses for the semester are being reorganised with a mobility element and courses at KIT Karlsruhe. We will also have a kick-off meeting before lectures start, where we will go through your time table together. If you have more questions, do not hesitate to contact me.